VyprVPN is one of the most popular and largest premium VPN services in the industry. It has users all around the world, as it provides excellent protection, great speeds, and numerous servers which you can use for unlocking geo-restricted content. If you choose to use this service, you will have total online anonymity and privacy, combined with the best protection you can find. However, if you are considering signing up, you may still have questions regarding what this service can and can’t offer. If you are one of those users, stick around, and you’ll likely see your question answered as we answer the ten most frequent questions asked about VyprVPN. 1. Does VyprVPN work in China? Yes, VyprVPN can be used from any location around the world, and that includes China as well. This makes it great service for unlocking foreign websites and services, since those living in China, or even those visiting the country cannot access the ‘outside world’ without a bit of help. Unfortunately, VyprVPN does not have servers in China, meaning that you cannot access China-specific content but it’s great for tunnelling out. 2. Does VyprVPN keep logs? 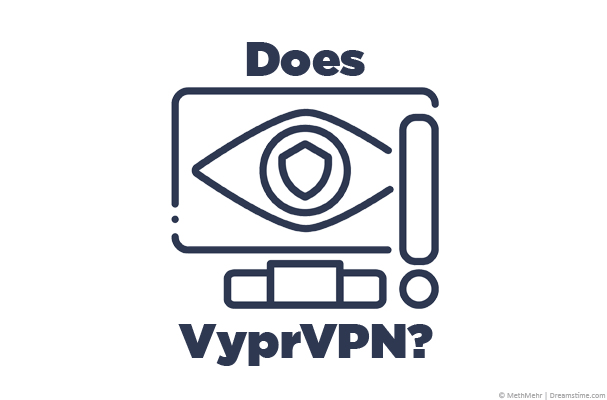 This is a question that often interests would-be VyprVPN users, and it is a vital consideration. The answer is No, VyprVPN does not keep logs since the end of 2018. While it used to keep some information regarding its users, those days are now gone, and the service proved it with an audit. This means that the service will keep zero data regarding you as the user, making it impossible for the company to sell the data to third parties or provide it to authorities, even in cases when a court order is presented. You can use the service freely, knowing that your privacy is safe. 3. Does VyprVPN work with Netflix? The first thing to understand is that Netflix does not appreciate when someone gains access to the content they were not given access to. The service has gone to great lengths to introduce geo-restrictions on certain shows and movies and only make them available in specific regions. It even blocked many known VPN servers to prevent VPN users from accessing certain shows and services. That being said, VyprVPN does allow access to Netflix, as the service has yet to identify their servers. VyprVPN has also become much more reliable in the past year, meaning that your access to Netflix is pretty much guaranteed. 4. Does VyprVPN allow P2P? P2P file sharing is a touchy subject with VyprVPN, as the service does not officially support it. This decision was made due to users’ tendency to download copyrighted material, which is something that VyprVPN does not support, and in the past, multiple users had their accounts suspended for doing so. However, we have established that VyprVPN does not keep logs, meaning that it does not track their users’ activities. With that in mind, it’s impossible to know what you’re doing. 5. Does VyprVPN have a free trial? While most VPN services offer a money-back guarantee which often lasts for 30 days (although not always), VyprVPN does offer a free trial period that lasts for three days. The service believes that this period will be long enough for you to test it and see if it satisfies your needs. However, to get it, you will still have to choose a subscription plan and enter payment details. You will not be charged instantly, but as soon as your 3-day free trial period ends, VyprVPN will charge you for the plan you chose. Remember to cancel if it’s not for you! 6. Does VyprVPN work in the UAE? Yes, VyprVPN can be used from the UAE as well, and the situation is pretty much the same as the one in China. Anyone located in this country – whether local or a travelling visitor can use the service for accessing foreign content. The Chameleon mode comes in handy in this situation as well, as it prevents the firewalls from detecting VPN traffic. One difference is that VyprVPN has servers in the UAE. 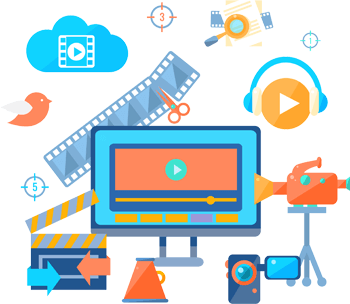 The servers are located in Dubai, which is the only supported location in the country, but this also means that the UAE expats can access their native content from abroad as well. It’s also great for unblocking apps such as those for dating like Tinder or Grindr that you may find restricted in conservative countries. Yes, VyprVPN is a legitimate, real service which has been around for a very long time now. During its lifetime, it has served a great many users, and it continually improves itself, as mentioned earlier. Now it does not keep logs, it works well with services like Netflix, and it has over 700 servers around the world. It has become very reputable, and it is registered in Switzerland, which puts it outside of jurisdictions of VPN-unfriendly nations, or those who would use it to spy on VPN users. 8. Does VyprVPN work with BBC iPlayer? Just like Netflix, BBC iPlayer is very picky when it comes to who gets to watch the content provided by the service. The UK itself is infamous for keeping its content for itself, only providing it to its citizens and others who happen to find themselves in the country. However, VyprVPN once again found a way to allow access to the service with the UK-based servers, and it works great with many other UK services, including Sky Go, Eurosport Player, as well as many others. 9. Does VyprVPN work with the Amazon Fire TV Stick? Unfortunately, VyprVPN does not have a dedicated app that would support Amazon Fire TV Stick. 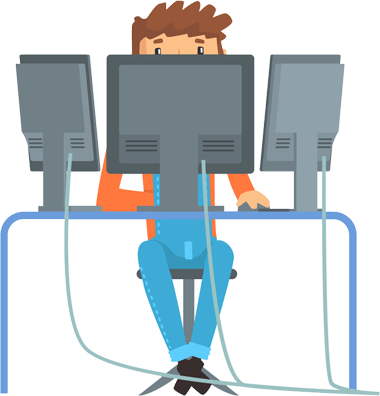 If you are tech-savvy, you might be able to set it up manually. However, the process is complex, and it requires quite a bit of know-how to pull it off successfully. 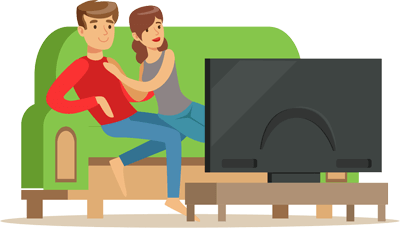 If you wish to use a VPN service for your Amazon Fire TV Stick, you might be better off with another VPN service that already supports this type of devices, such as ExpressVPN or NordVPN. This is one area where VyprVPN cannot easily help you. 10. Does VyprVPN have a Kill Switch? Yes, most devices covered by VyprVPN apps do feature a kill switch. You will find it in the app on any device featuring Windows systems, as well as on Mac. However, when it comes to mobile devices, the kill switch is currently only introduced to the Android version of the app, while iOS devices do not have it. There is a possibility that VyprVPN might introduce the feature in iOS app at a later date, as the service made many significant improvements recently. For now, however, iPhone users should be aware of the fact that their connection will not be instantly severed if the VPN fails. VyprVPN is an excellent VPN service which works great from any part of the world. It covers multiple devices and systems, with a lot of great features which improve protection, anonymity, and your online reach. It also features a 3-day free trial; it doesn’t keep logs, and, while it is not advisable, you should be able to use it for P2P file sharing, at least in theory. If you’re interested to know more check out our VyprVPN review or give their service a whirl by taking advantage of their completely free 3-day trial. IPVanish discount 50% off for 3rd Birthday!